Honors College senior Annie Crawford’s research on Angelica Schuyler Church, who corresponded with some of the most famous figures of the early United States, reflects her passion for women’s rhetoric. To date, the most memorable experience of her study was presenting her work at the Conference on College Composition and Communication in March in Kansas City. The annual conference is the largest gathering of college teachers of writing and communication in the United States. “It felt like going to the big leagues. I was surrounded by people whose scholarship I had read in my classes. I got advice about where to go with my project and where to go to graduate school. A few people gave me their cards and told me to look into their programs,” says Annie, who is an English major and is considering going to graduate school to become an English professor. Annie began the project in Dr. Jane Greer’s class on women and rhetoric at UMKC. Intrigued by Schuyler Church’s character in the musical, Hamilton, which she saw in New York City in March 2016, Annie studied Schuyler Church’s letters to Alexander Hamilton and Thomas Jefferson. 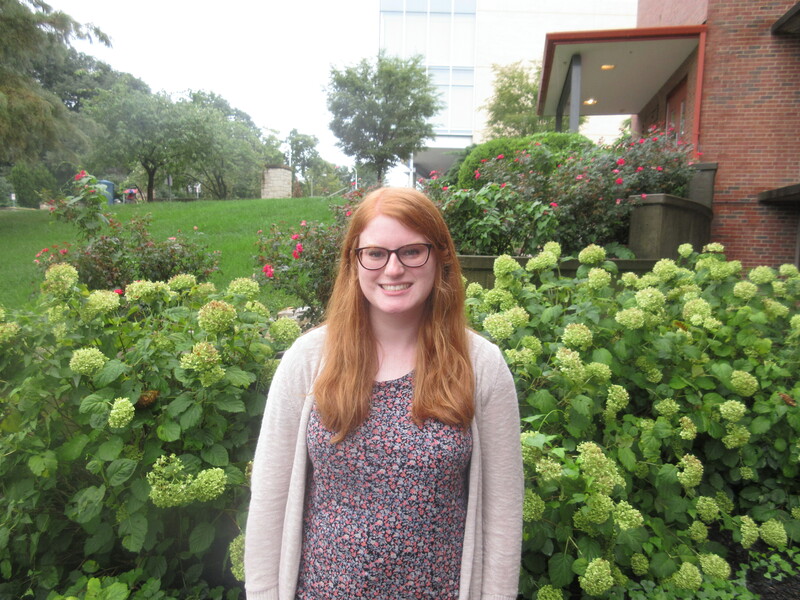 With financial support from the UMKC English Department, Annie attended the Naylor Workshop for Undergraduate Research in Writing Studies at York College of Pennsylvania and decided to expand her work into a senior honors thesis and a capstone project for her major. Guided by Dr. Greer as her faculty mentor, Annie received a SUROP grant to travel to Albany, New York, and tour Schuyler Church’s childhood home.